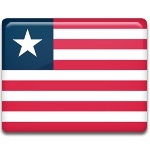 The second Friday in April is a public holiday in Liberia known as Fast and Prayer Day. Although it is a legal holiday, its observance is not mandatory because the constitution of Liberia provides for freedom of religion. Fast and Prayer Day has been celebrated each year since 1883. It is the day of religious devotion that focuses on collective reflection and self-discipline. On this day, Liberians hope that due to their prayers and fasting, the God's blessings will rest upon their Motherland. Fast and Prayer Day is typically observed by Liberian Christians who constitute approximately 85% of the country’s population. While officially it lasts only for a day, some people extend the time of prayer and fasting to an entire week. In churches, special services are held on the occasion. Liberian Muslims do not celebrate this holiday because they have the entire month of Ramadan dedicated to fasting and praying. Fast and Prayer Day even used to be the cause of tension between the Christians and Muslims in Liberia. In addition to the annual Fast and Prayer Day, Liberian churches may declare special fast and prayer periods on certain occasions. For example, in October 2014 the Church of Liberia declared a three-day nationwide fast and prayer to honor the memory of those who died of Ebola.